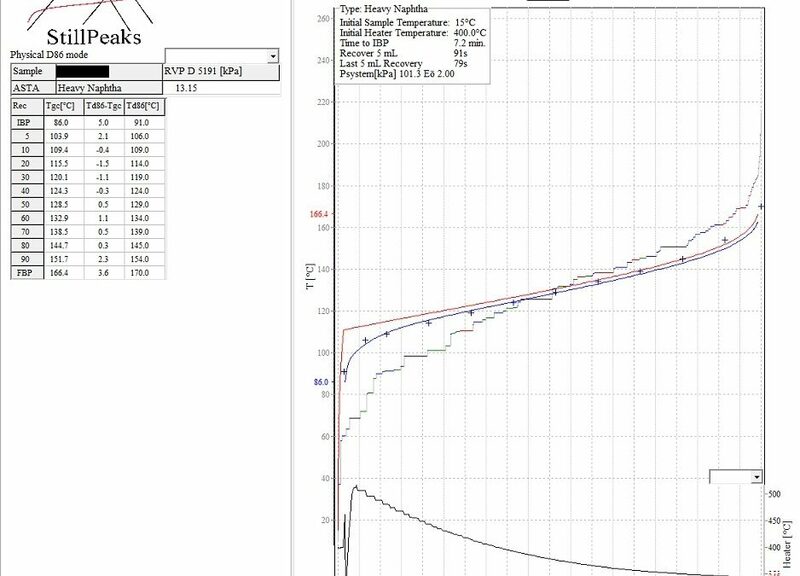 StillPeaks D86-software predicts and constructs ASTM method D86 distillation for gasolines and blendfeeds from (Fast-) Detailed Hydrocarbon Analysis by GasChromatography. Fugacity of equilibrium and transport algoritmes are the scientific hart of that. We created a user-friendly graphical interface for this complicated software. Now we also explain the fugacity filmmodel by which StillPeaks software predicts and constructs ASTM method D86 distillation for gasolines and blendfeeds. The more indepth paper ‘Fugacity of equilibrium and transport’ with the equations can be downloaded at the end of this article. the Filmmodel of interphase mass exchange. Fugacity in a vapor phase is the partial pressure at system pressure. Fugacity of a compound in the Liquid phase uses mole fraction instead of vapor mole fraction. Pure liquid vapor pressure and a coefficient are also involved in liquid fugacity. In Vapor-Liquid systems the vapor phase concentrations of the volatiles is higher than the liquid phase concentration. This is the principle of distillation expressed by Henry’s law. Fugacity can be understood as a partial pressure and, contrary to concentration, fugacity is equalizing between phases at equilibrium. 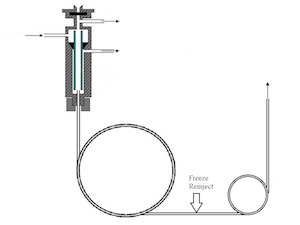 Over time in a closed system, fugacity, temperature and total pressure equalize to achieve equilibrium. At this equilibrium between liquid phase and gas phase, fugacity is equalized. Vapor-Liquid Equilibrium is the core of plate separation and phase diagrams. VLE is the driving force of evaporation and condensation. 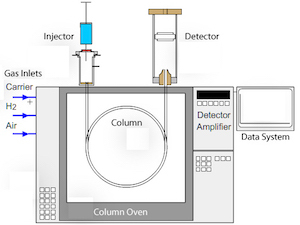 On the sub-millimeter scale encountered in chromatographic separation columns equilibrium applies as well, because the random walk velocity of molecules in liquid and gas phases is fast (cm2/s) compared to for example the film thickness (µm) in capillary Gas Chromatography (GC). Bottom line, retention time in capillary Gas Chromatography is the result of polymer solubility and pure liquid vapor pressure. 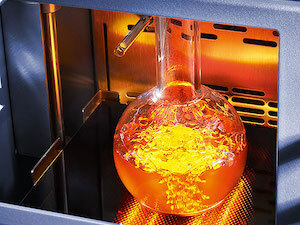 Fluid phase systems are encountered in environmental chemistry (fate of Persistent Organic Pollutants) and technical chemistry (distillation and extraction plates). The fugacity filmmodel assumes liquid and gas phases are well-stirred. Transport rate is determined by the interphase boundary layer. 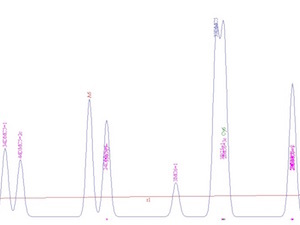 Based on the Fugacity Filmmodel StillPeaks D86-software predicts and constructs ASTM method D86 distillation from fast-GC Detailed Hydrocarbon Analysis. We believe that separation science should support your daily operations. With this article we tried to bridge the gap between Separation Science and the operational usage of the Fugacity Filmmodel applied in the StillPeaks DHAtoD86 software. All in line with our motto: ‘Spreading Digital and Chemical Intelligence in the World of Gas Chromatography’. To learn more indepth about Chromatography and distillation we recommend to download and read the paper ‘Fugacity of equilibrium and transport‘ or contact us.